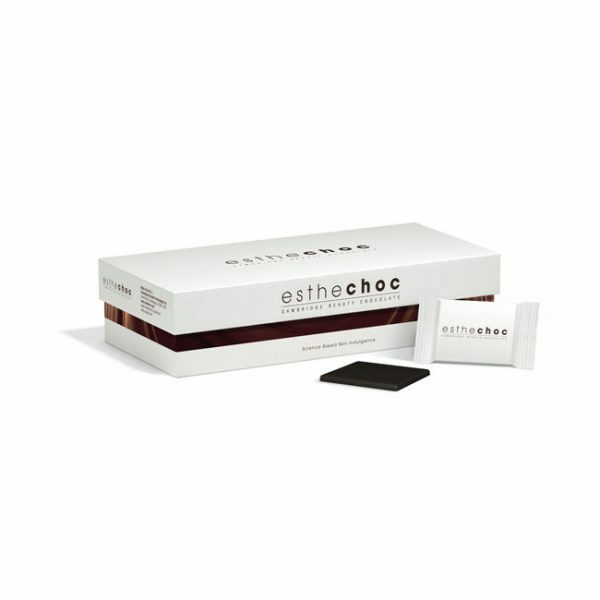 One small esthechoc a day helps to regain your skin health and slow down the ageing process. 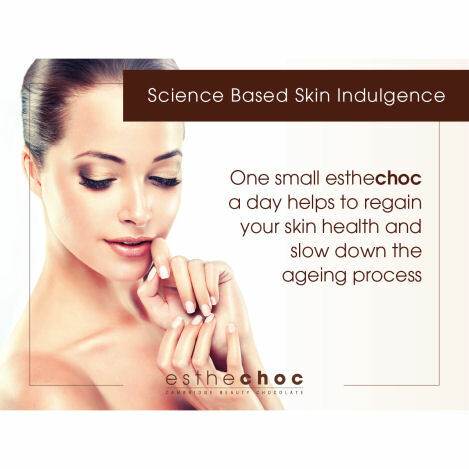 Esthechoc is the world’s first nutricosmetic with a strong, scientifically proven impact on the metabolism of ageing skin. A combination of highly potent active substances: Astaxanthin (the most powerful antioxidant known to science) and Cocoa polyphenolic epicatechins (found naturally in chocolate). Unique micellar technology used during production of esthechoc allows these active substances to be highly bioavailable. (the most powerful antioxidant known to science) and Cocoa polyphenolic epicatechins (found naturally in chocolate). Unique micellar technology used during production of esthechoc allows these active substances to be highly bioavailable. We eat food, not capsules! 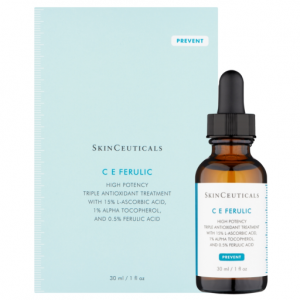 Helps to fight age related loss of essential skin appearance, such as firmness, radiance and softness. ‘I’ve been consuming it for three months now, one square at a time, and my skin is markedly different’ – says Susan Harrow. esthechoc has been voted the #1 Anti-Aging Product on HuffPost!!! Presented in a 21-day supply of individually wrapped daily portions. 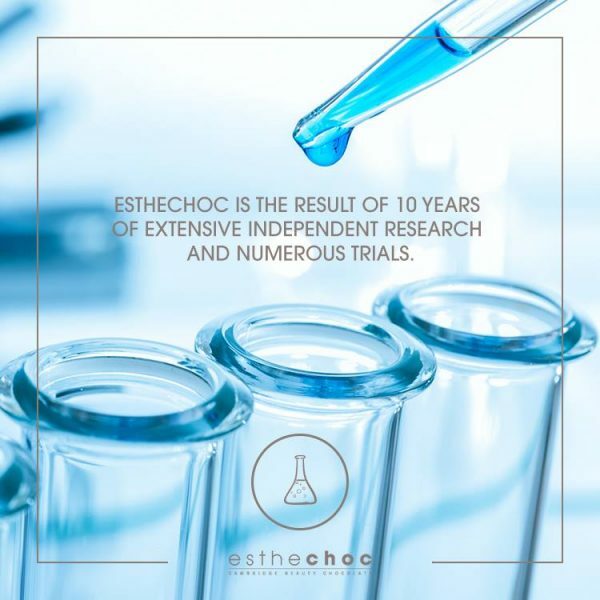 Esthechoc is the world’s first nutricosmetic with a strong, scientifically proven impact on the metabolism of ageing skin. The daily food supplement that slows down the ageing process, reduces inflammation, improves skin oxygenation and has the world’s most powerful anti-oxidant, astaxanthin, 6000 times more powerful than Vitamin C! Best of all, it is a delicious 7.5g chocolate with only 38 kcal! Clinical data confirms the biological efficacy and shows statistically significant improvements in the biochemical and metabolic parameters after 3 weeks of administration. 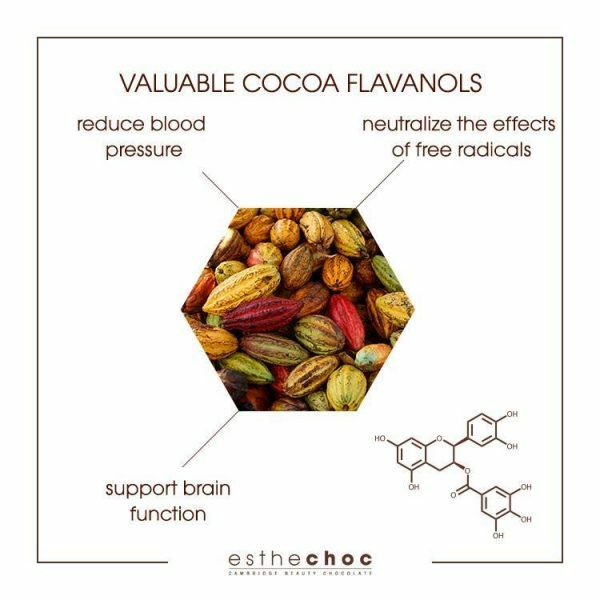 When used regularly, estechoc nurtures and protects the skin against ageing. Long believed to have antioxidant properties, Esthechoc have utilised dark chocolate and the naturally occurring potency of Cocoa Polyphenols to create Cambridge Beauty Chocolate, an anti-ageing beauty supplement system. 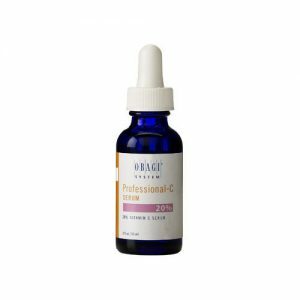 Enhanced with Esthechoc’s proprietary Astracells, which enhance microcirculation and support oxygen saturation, it works to protect from aging and promote healthy, luminous skin from the inside out. 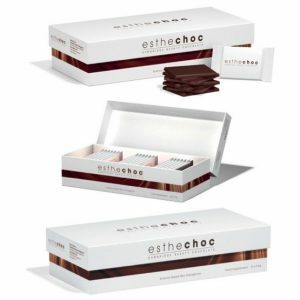 Celebrities in USA choose esthechoc to prepare for a TV appearance! 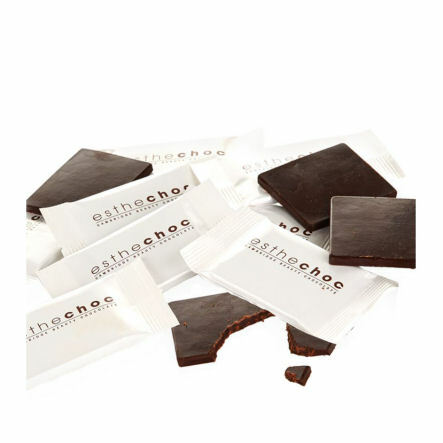 Eat one bar (7.5g) of Esthechoc each day. It is recommended that you do not exceed any more than this. chocolate 99,94% (cocoa mass, sugar, fat-reduced cocoa powder, cocoa butter, emulsifier - lecithins (from soybeans), natural vanilla flavouring), Astaxanthin from Haematococcus pluvialis algae, stabiliser - tocopherol-rich extract. Cocoa mass minimum 72%. May contains traces of milk, soybeans and nuts as this product is manufactured in a facility that also handles milk, nut and soy products.